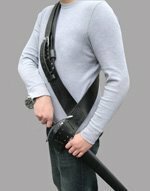 Sure you can hide your dagger in your cloak, but what fun is that? this laced leather frog is simple, effective and looks great. 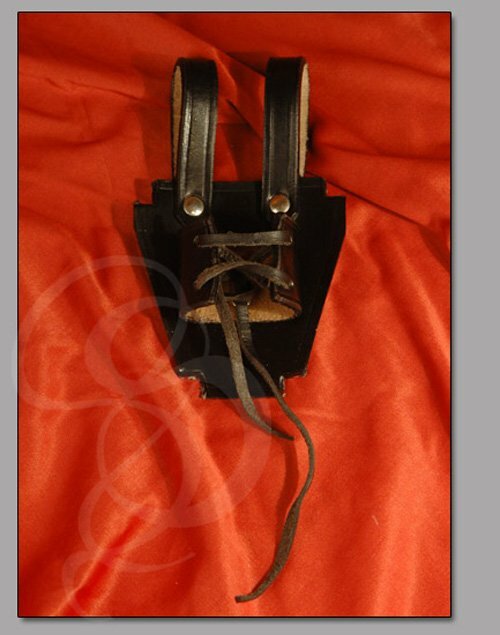 Just slide the sheath into the laced opening, tighen the laces and your ready to do some serious showing off. The sheath remains locked in the frog when you draw the dagger. For such a small item, it might seem like it's not worth the time to write a review but this little frog is really well made and very easy to secure my dagger. 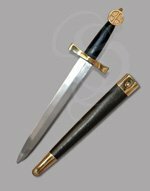 I bought a custom dagger from Europe and got a traditional dagger sheath. The frog holds it securely, looks great on my favorite medieval belt and the good leather on the frog is a fine match to the Spanish leather of my dagger sheath. 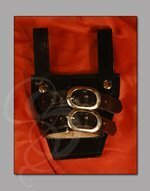 This is my "go to" site for medieval accessories!